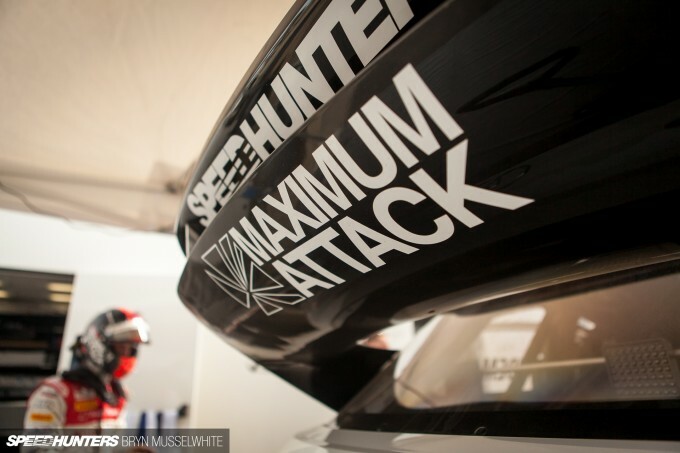 Hi all the Speedhunters fans out there! 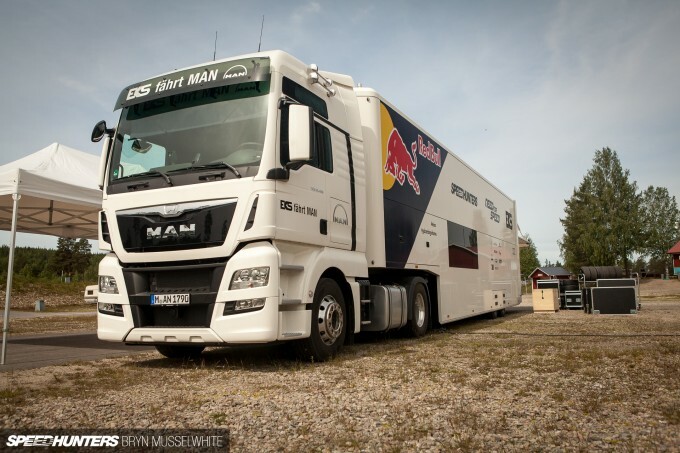 I’ve got great news – I’ve started driving rallycross in the FIA World RX Championship series with the EKS team. As I’m sure you will all understand, this is a great opportunity and a cool challenge for me. Since my childhood I’ve been driving karting and cars on various surfaces – this is something the Scandinavian climate decides this by itself. If you want to drive anything in the wintertime it has to be on ice. 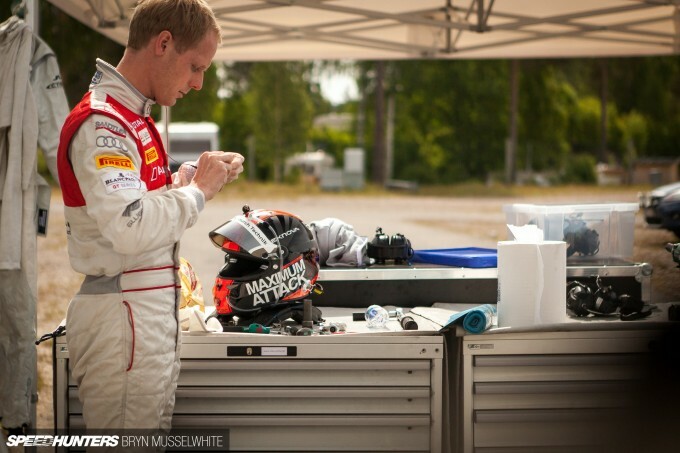 I can still remember when my father, Göran, fitted screws on my karting tires – it was my first experience of long drifts. I think I was 11-years-old at that time. Well, since then I’ve been doing a lot of driver training with clients on the frozen lakes in the northern part of Sweden in all different types of cars. 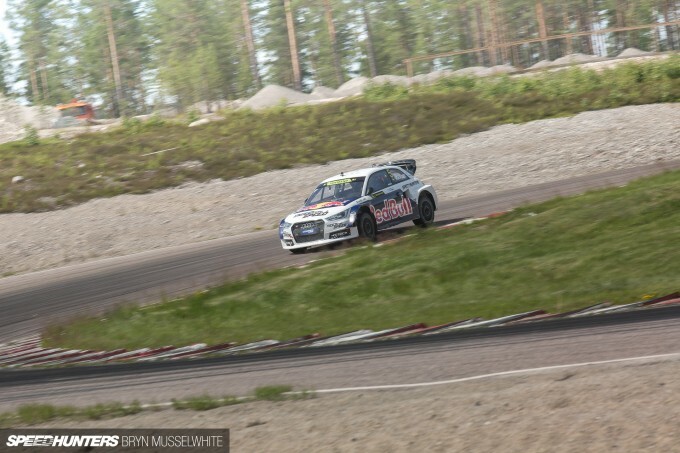 However, the closest I’ve come to driving the Audi S1 EKS RX was during an ice event with my former sponsor Olsbergs MSE and their late founder, Göran Henriksson. He invited me to drive his Subaru S9 WRC and Toyota Corolla WRC. Since that day I’ve been waiting to have another try in a similar car. Rallycross is something I’ve followed from early age. I can still remember the fights between the all-time giants of the sport: Martin Schanche, Kenneth Hansen and Per Eklund. I just loved the way they battled on and outside of the track. I can still remember the green BP-branded Ford Sierra of Hansen, Kärcher was on Schanche’s car and Clarion on Eklund’s. Well, I didn’t actually use this inspiration to do rallycross – maybe because they were actually quite old at that time, which told me that I could try my hand at it later. Instead, I’ve been exploring circuit racing for the last 15 years and today I’m proud to be a part of Audi’s GT program. Still, I’m a driver who wants to be in a car whenever possible. It doesn’t really matter what the category is, as long the chance to win is there. Last year my long time friend Mattias Ekström had a go at rallycross at the X Games event in Munich and later in the European series in Höljes. He got excited, or better expressed – totally addicted. 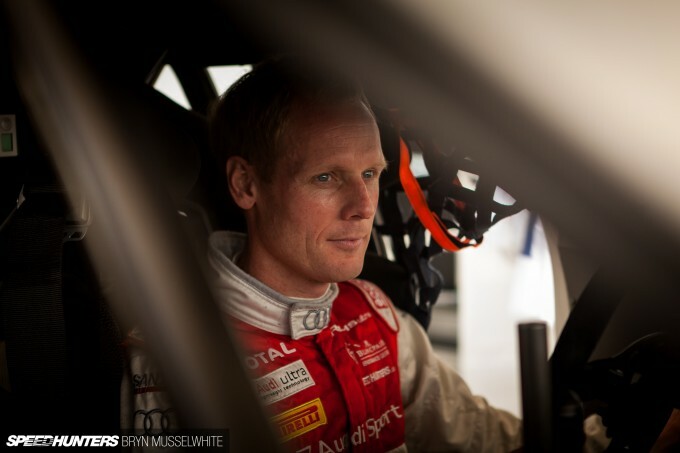 That’s understandable though – because his father, Bengt, was a successful rallycross driver and he grew up around the rallycross paddock. In the end there was only one thing that could satisfy Mattias’s addiction – starting his own team. 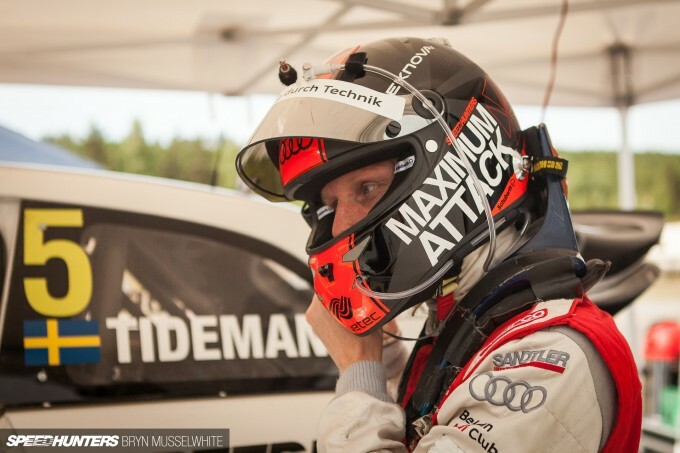 Mattias’s and my main focus is with Audi’s racing commitment – he in DTM and me in GT. 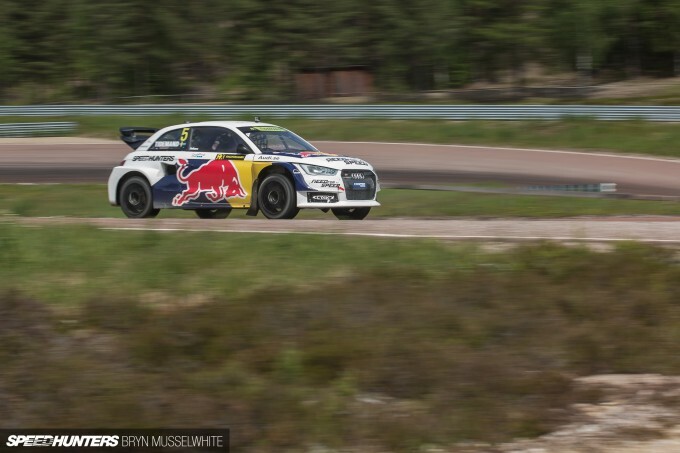 For the past six or so months though, the hours that Mattias hasn’t spent with DTM, he’s mostly spent on this new addiction and creating his own dream team in rallycross: EKS RX. As we’ve done things together before, the decision to offer a helping hand was very easy for me, and in the end it created a opportunity to have a go as a driver too. Imagine starting with nothing in October and by April having two completely new designed cars, infrastructure, sponsors and crew ready to go. It wasn’t a easy task. 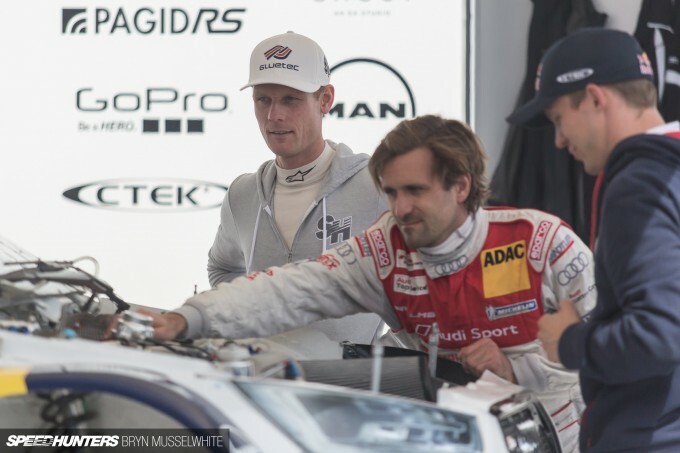 Even more impressive is that by the team’s third event of the series they had already won their first race – the founder himself behind the wheel at Höljes Motorstadion. Now it’s time to tell about my first test in the car. Höljes is located in the deep part of the forests of Värmland and is mostly known as being the region were the Rally Sweden goes. I must admit, my pulse was a bit higher that day. 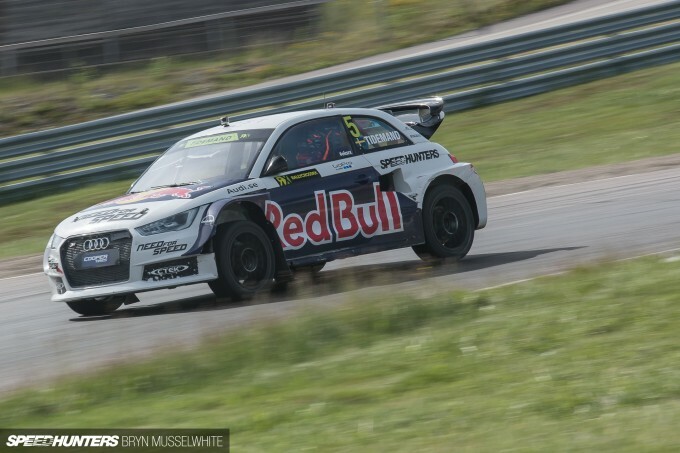 The short-wheelbased, but very rapid Audi S1 EKS RX takes some extra concentration to handle. But it’s a privilege to start in maybe what is the best tool for your very first try. That’s actually crazy when I think about it – what others would do for this kind of opportunity – but there it was in my hands. So how did I prepare? It’s actually impossible to prepare. As Kimi Räikkönen used to answer the question about learning, “I learn when I drive it”. It was kind of the same for me. Of course, there’s some technical things you can sort out beforehand, like seat fitting, but in the end the only way is to jump in and drive, as that will tell you everything you need to know. 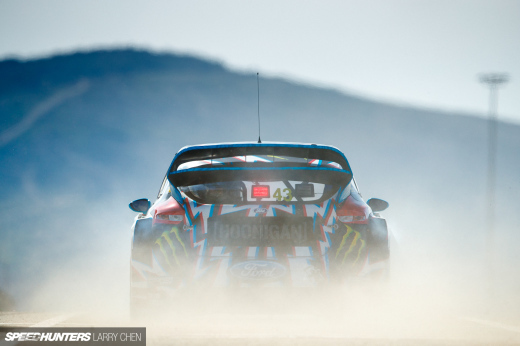 The mix of gravel and tarmac is crazy fun as it takes more skills to adapt your driving depending on the surface. The tarmac part I have a good clue about I would say, but gravel is a bit more like the ice driving. Four-wheel drive is the next thing – for a driver it gives more possibilities to play around with the car. You can, for example, have more power and drift to get where you want. 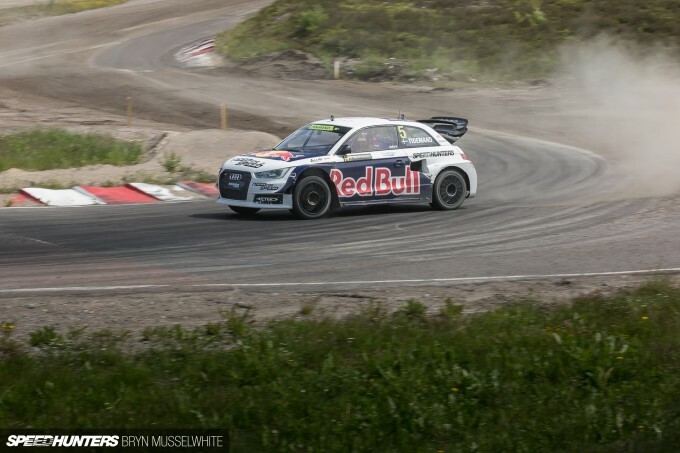 These World RX Supercar-class cars have 2.0-litre four-cylinder engines with turbochargers. The boost pressure is as high as the engine tuner will allow and the weight is regulated to 1300kg. The cars are completely without driving aids like ABS or traction control and will accelerate from 0-100km/h in under two seconds. It’s hard to express how fast this is, but it feels like being inside a rocket. 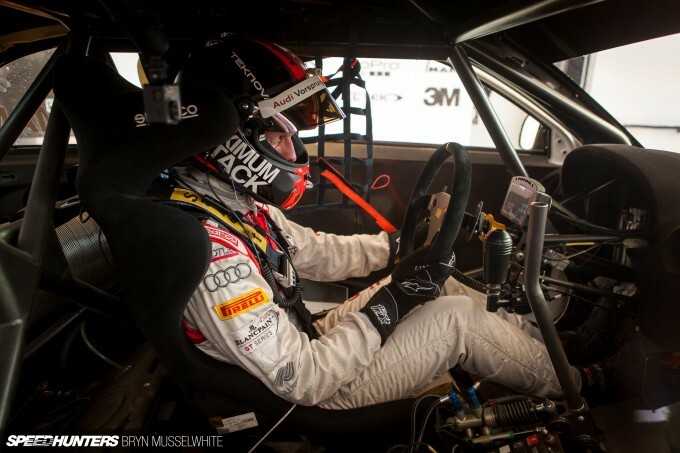 The first time in the car for me was as opportunity to just go out and have a go and play around a bit. One week earlier Jacques Villeneuve had a massive crash at the track when he hit an inside curb too hard, but there was no time for the team to have these kinds of mistakes happening this day though, as next round in Finland was just one week later. To learn you have to try and as I hit the track I have to say that the adrenalin rush was above everything I’ve experienced before. How to shift gears was the first thing to sort out, because the ratios are quite short as the tracks are quite narrow. Anyway, you can reach sixth gear – 160km/h to 170km/h – at Höljes, which is pretty fast on this kind of track. The tires were really soft and gripped without any pre-heating, which is forbidden anyway. As I said, for the first outing the main thing was to get a feeling for the gear shifting, and it was a task to get the rhythm and shift before the rev limiter kicked in. The next thing was to jump – something completely new for me. You have to adopt the same technique you would with motorbike and balance the car with the gas or brake. 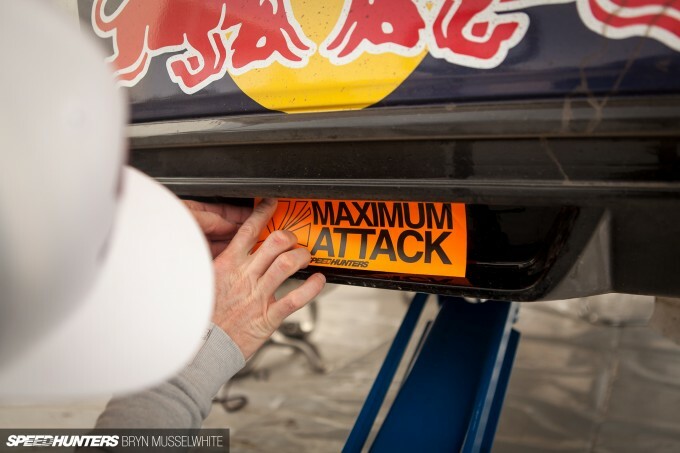 The most important to get right is the take off though – especially to make sure the car is straight. And to save both yourself and the car, it’s good to avoid landing it on the nose. But when you do it right it can be really impressive, and the suspension is just amazing how it absorbs the landing without jumping around. Line was next. 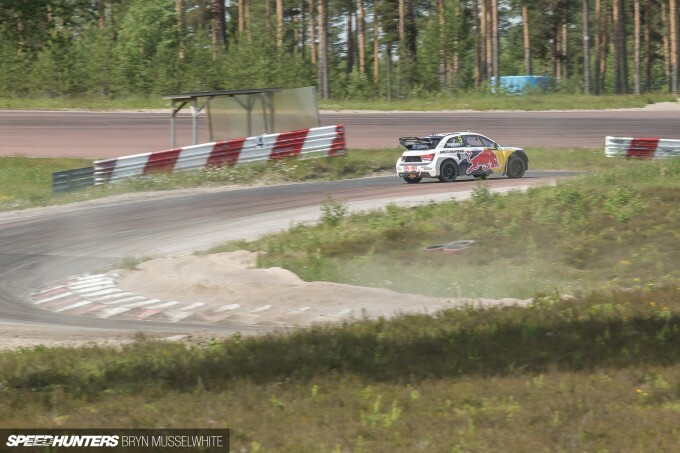 On these rallycross tracks the line is very narrow, and as soon as you go outside it the grip level decreases a lot. So you have to be very precise with your driving. Four-wheel drive means you can get on the gas early, but the car still has to be in a position to keep the line – as I found out on my runs. The handling of the car was very neutral, so in that aspect it was easy to drive though. But with speed comes faster decisions and this is what makes it difficult. I’m a circuit racer and know that efficiency is really important in order to get a good lap time. Being too aggressive is perhaps not be the fastest way, even though the car itself says ‘yes’ to everything. I found this very cool as I could really adapt the driving as I want. Whether more or less rotation, I felt in control all the time. 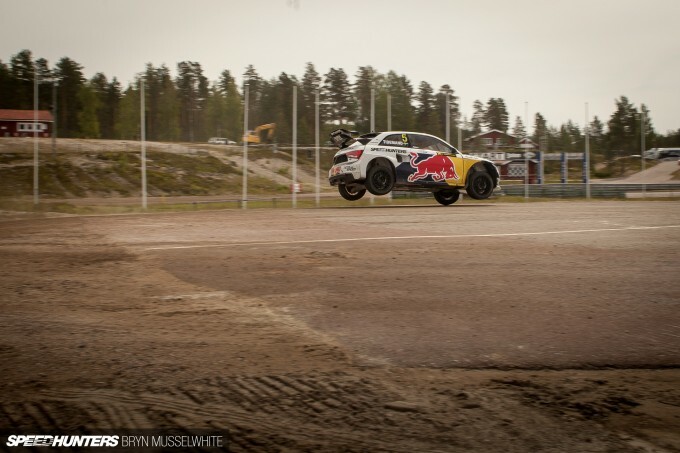 After 12 laps of practice I was ready to head to Belgium for Round 6 of the World RX. My target was to nail the start, in which case everything can happen. 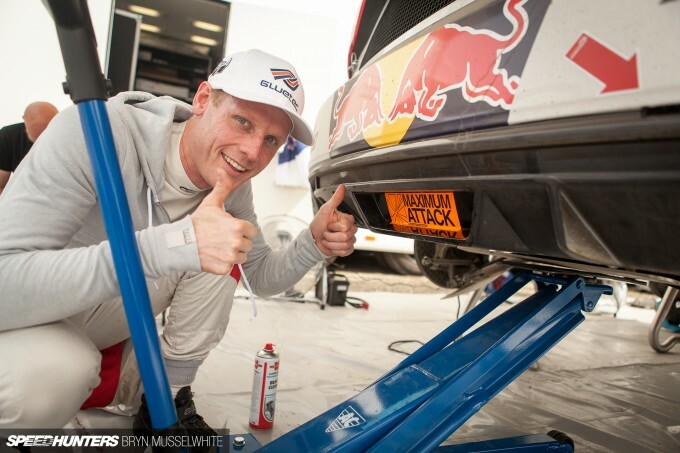 I’m maybe a more all-surfaces driver then my opponents know, but still I’ve a huge amount of respect for this task. 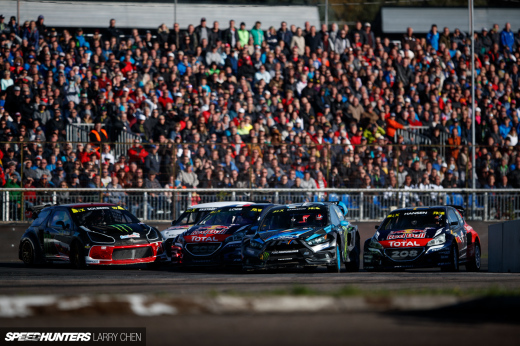 How did Edward’s first World RX event go last weekend? Check out the EKS clips above and below, before taking a look at the Bonus Images chapter. 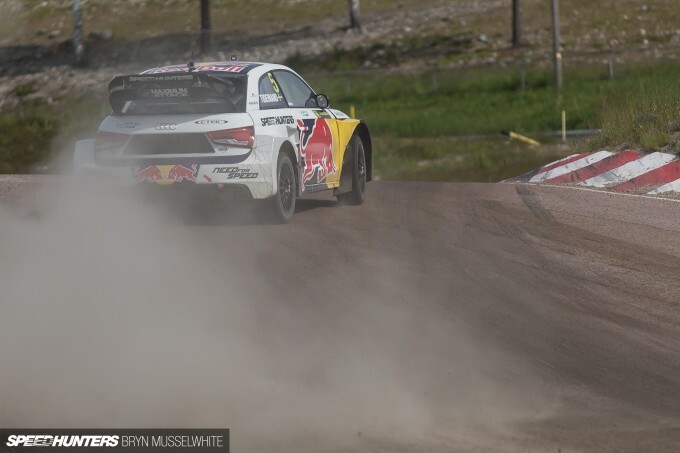 I love Rallycross, both sides of the ocean! With more manufacturers/models getting involved(Audi and VW) makes things interesting for the Ford and Subaru boys. I can't wait to catch them again in Vegas! I'd loved some more information on the car itself ... "2 litre turbos", yeah, thats been the RX formular for years. 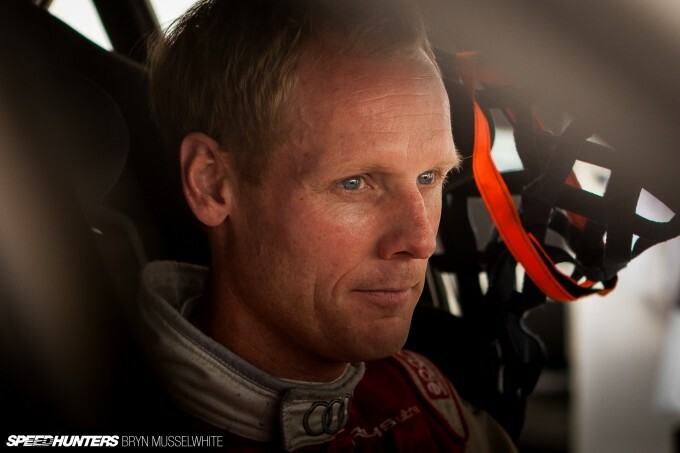 What's in that Audi, which production engine is it based on, what drivetrain, what suspension system, does it use parts from the WRC Polo and so on ... thats what this site is all about. 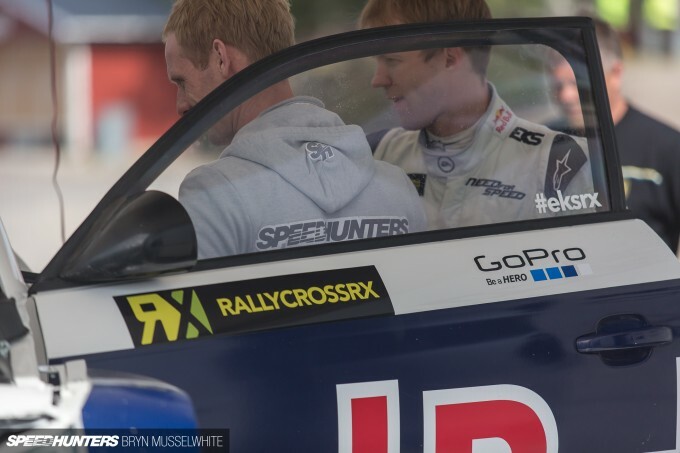 Great to see Speedhunters getting more involved with the World Rallycross Championship. The Championship has really been delivering this year and the quality and quantity of entrants seems to be rising with each event. 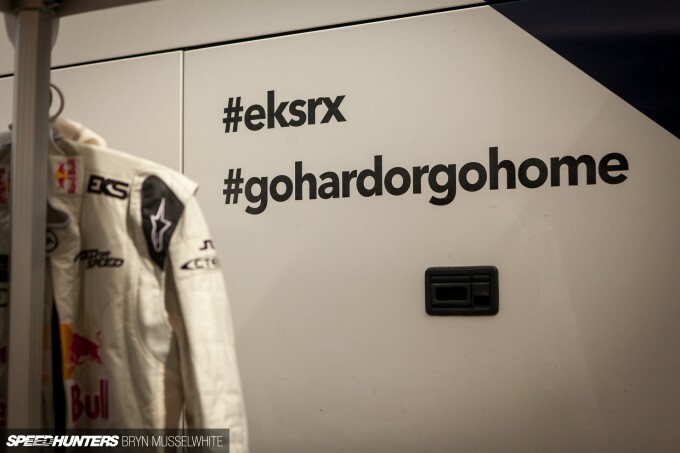 Fantastic debut season for the EKS cars so far, look forward to seeing them in France! Could someone inform me on how this event actually works? A series of qualifying rounds? Acc There will be a feature coming with more images of the car, but right now that's all the team are happy to mention. As I'm sure you can imagine, they've appeared with a car that's won on it's third outing and right now anything that the public can't see whilst walking past the pits is strictly off limits! Acc Rallycross Supercar specification is something I've always struggled to find specific details of in the few years I've been following the sport. The engine block must be from a model from the manufacturers range (i.e. the block in the EKS A1 must be from an Audi model), but that is about the only limitation on the origin of engine parts. Heads, turbo etc. are all free (though the turbo inlet is restricted). A lot of the information in the magazine isn't new, but it gathers a lot of data on the modern Supercars that was previously scattered around the internet (and elsewhere). 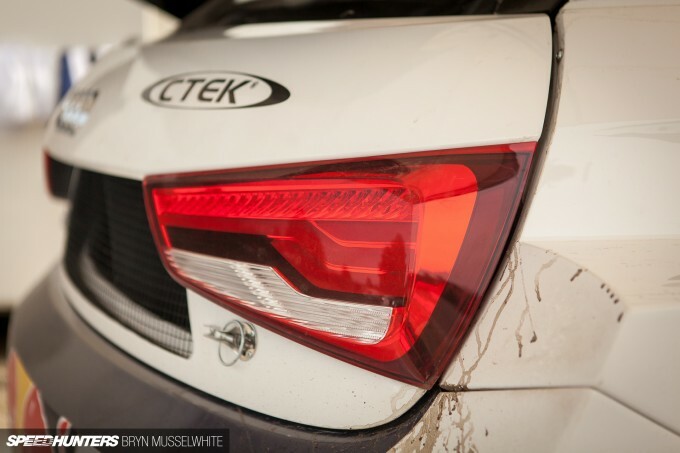 Unfortunately it was published before the EKS team were on the scene, so there is nothing on their cars! 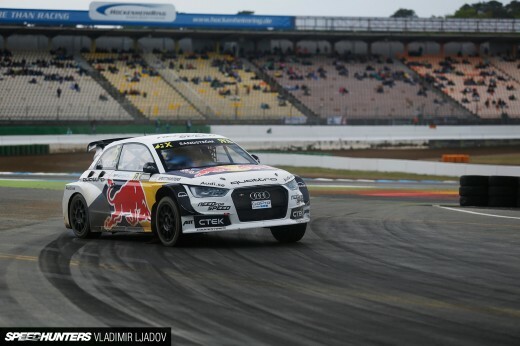 Lachys114 World Rallycross Championship events have cars racing four qualifying heats, two Semi-Finals and one Final. All cars race in the heats. Each heat comprises of a number of heat races. There are fives cars in each heat race and the aim is to post the fastest overall time. Points are awarded at the end of each heat for the fastest time. After four heats the points are added up, and the 12 highest scoring drivers go through to the Semi-Finals. There are two Semi-Final races which involve six cars and the first three cars over the line in each Semi-Final go through to the Final. Thus six cars race in the final, with the first car over the line the overall winner of the event. It sounds complicated when you read it, but it quickly makes sense when you watch it! I'm still amazed how these cars go from 0-60 with just 600 something HP. Big fan of rallycross, enjoying your coverage of things so far! It must rank up there as one of the most entertaining forms of motorsport these days, good to see it getting some decent exposure lately. Oh I understand now, it sounds like a good system to get the best overall driver! I've been really enjoying watching this. And the Eurosport coverage with Andrew Jordan (BTCC champ) commentating is really good, although I can still never get my head around the points. But sometimes that's half the fun haha! Also it's pretty cool seeing Speehunters logos flying around my TV! The cars are mental though. I did a behind the scenes tour at Prodrive earlier in the year and they were building up some Mini Clubmans and telling stories of the car's they've built for Liam Doran (one of the mini's was his IIRC) so having a poke around the cars/engines was fascinating.